The quality is top-notch. It is very elegant with a unique wood grain - very pretty and a good value for the price. This is the first time I've ordered furniture online without looking at it and was not disappointed. This series table fit the space perfectly and is nicer than I expected. It's solid wood and durable so far. This looks absolutely fantastic in our dining room. Highly recommend purchasing from Walker Edison. You won't be disappointed. This table is exactly what I was looking for and fits perfectly in my dining area. Got the chairs from Walker Edison as well. I absolutely love this table!!! Assembly was easy. We are using this as a dining room table in a space that's a little smaller than a typical dining room. 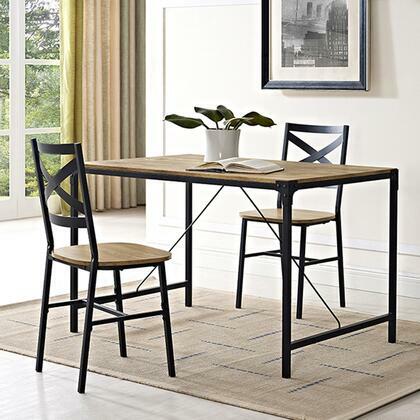 The table itself is very sturdy and has a good weight to it. Very happy with our purchase from Walker Edison.